SHÈ, a concept derived from the Chinese character “舍” for a place of rest, tranquillity and hospitality, mirrors its namesake as the first gourmet sanctuary opening within Lane Crawford in IFC mall. At SHÈ, traditional Chinese dishes are injected with modern flair, adding a guilt-free element to Hong Kong’s beloved cuisine with of premium and chemical-free ingredients. The menu covers categories from Roast Meats and Vegetarian bites to Rice & Noodles and Dim sum, as well as offers up a Jewel Afternoon Tea Set and Modern Chinese Brunch. 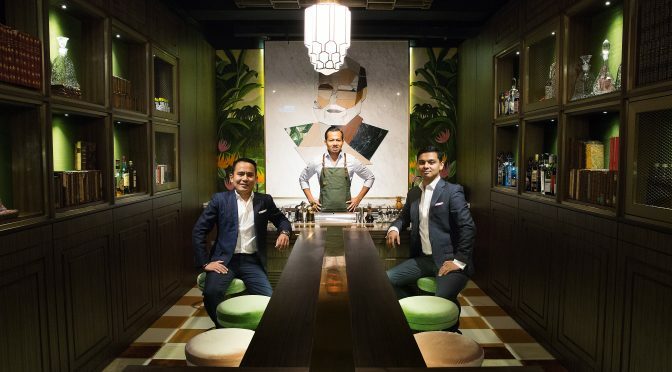 In addition, SHÈ will serve a unique collection of “Tea” tails, created from a marriage between Jing tea and traditional spirits with a creative touch, and other classic Asian-inspired cocktails. For non-alcoholic options, guests will be able to savour a premium tea selection and fresh organic coffee from Italy.